When I read this I assumed Harvard was responding to the presently escalating tensions in the Middle East centered on Iran’s advancing nuclear ambitions. In particular they might have been concerned that if Israel were to become embroiled in a war with Iran, the value of pubic companies in Israel would plummet. “The University has not divested from Israel. Israel was moved from the MSCI, Harvard’s benchmark in emerging markets, to the EAFE index in May due to its successful growth. Harvard’s emerging-markets holdings were rebalanced accordingly. Harvard is probably telling the truth: They’re following a disciplined methodology tied to indices and factor analysis, and indeed Israel was promoted from “developing” to “developed” recently. In fact, my sense is that Harvard revealed more than they would have liked to in their announcement, just to go the extra distance to reassure their stakeholders. 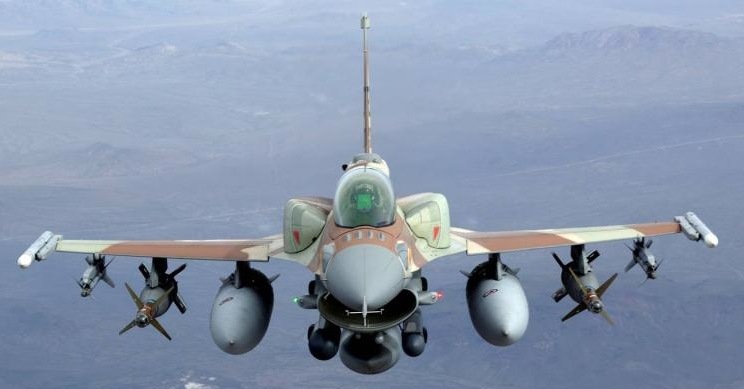 The possibility remains that Israel or the US may strike Iran. A number of conservative pundits including Charles Krauthammer, Bill Kristol, and Jeffrey Goldberg have predicted that Israel will attack Iran’s nuclear facilities. Israel has already demonstrated its willingness to take preemptive action against Arab nuclear facilities when they targeted Iraq’s in 1981 and Syria’s in 2007. And, the theory goes, Iran is edging inexorably closer to an unacceptable nuclear capability (and flaunting it in Israel’s face). “We do not accept the idea of Iran having nuclear weapons.” — US secretary of defense, William Gates, June 20, 2010. “We cannot live with a nuclear Iran.” — U.A.E. Ambassador to the US, Yousef al-Otaiba, July 6, 2010. An Attack on Iran: Back on the Table — Article in Time, July 15, 2010. “I have begun to consider that that may not be the worst of all possible outcomes.” — Former CIA director Michael Hayden, regarding a strike on Iran, July 25, 2010. “They [the United States and Israel] have decided to attack at least two countries in the region in the next three months.” — Iranian President Mahmoud Ahmadinejad, July 26, 2010. “Who is the second one?” — Israeli defense minister Ehud Barak. These events taken together reveal two key changes in the thinking of policy makers since 2008. First, a growing sense within the US, at the highest level, that an attack on Iran is feasible and defensible on the world stage. And second, that Arab nations are willing to accept an attack by Israel on Iran because they dislike the idea of a nuclear Iran as much as the US and Israel dislike it. How certain is an attack? The US and Israel have stated in no uncertain terms that an Iran with nuclear weapons is unacceptable. One might doubt the US’s determination to stand by that claim, but no one can doubt Israel and their track record. Here is a top flight criminal defense lawyer for you, visit Raleigh DWI Lawyers for a free consultation, effective and trusted professional legal service that you need. You can also call rochester ny dwi attorney when you need reliable attorneys on your case. This line in the sand is being inexorably approached by Iran. Iran shows no interest in slowing down either. So unless the line moves or Iran changes course, expect a collision. How long? This is hard to guess, but I predict sometime before 2012. Iran is not a grave threat.